Presented by a number of his brethren and fellow workers, in recognition of his life-long labours in the cause of Masonic Charity. Bro. H. Doey was one of the best known and highly esteemed brethren of his time, and the brevity of the title to his portrait must not be taken as a sign of insignificance. He was a brother of humble position in life, but a nobleman cast in Nature’s mould – a gentleman by instinct, and incapable of unworthy motives. 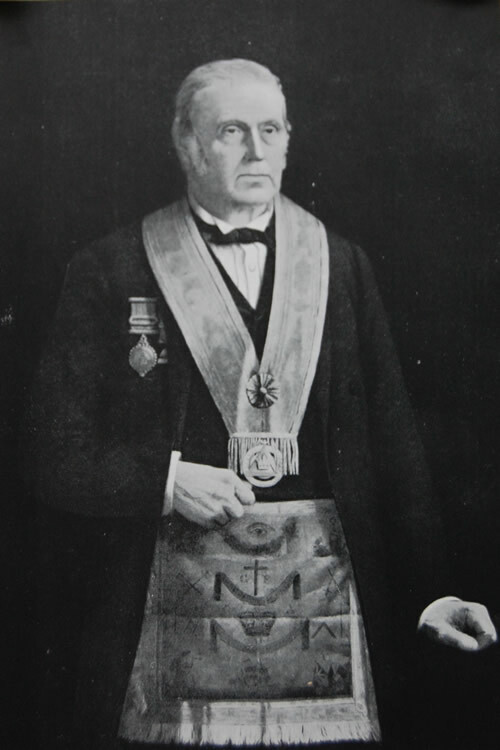 His interest in the Belfast Masonic Charites was his chief characteristic. He was not ambitious for rank, but was exalted to eminence in the estimation of those who knew him best; to them Hugh Doey was a brother of high degree. His name appears on the list of members of the House Committee for 1869.